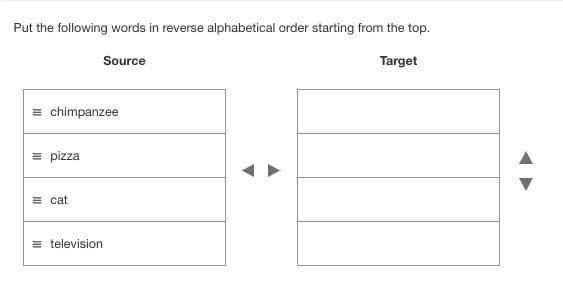 A multiple choice type question asks the student to select one or more answers from a list of predetermined answer choices (based on item author determination) in response to a stimulus. GradeCam Compatible: Will NOT work if the item has multiple response option turned on. An essay type question that allows the student to enter and format text in response to a prompt. An essay type question that allows the student to enter text in response to a stimulus. Allows for minimal text control, such as cut, copy, and paste, as determined by the item author. A short response type question that allows the student to enter text in response to a stimulus; usually just a few words. A multiple choice type question, in which several related question stems have the same choices (e.g. true/false). 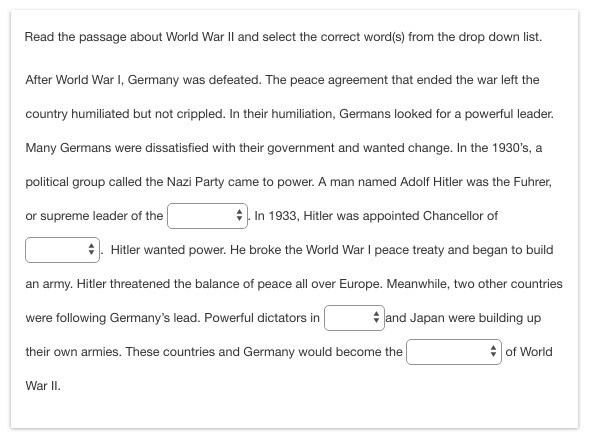 A drag and drop item type that gives the student a list of stimuli, each corresponding to a blank response location. The student must move a set of predetermined answer choices to the blank response locations. 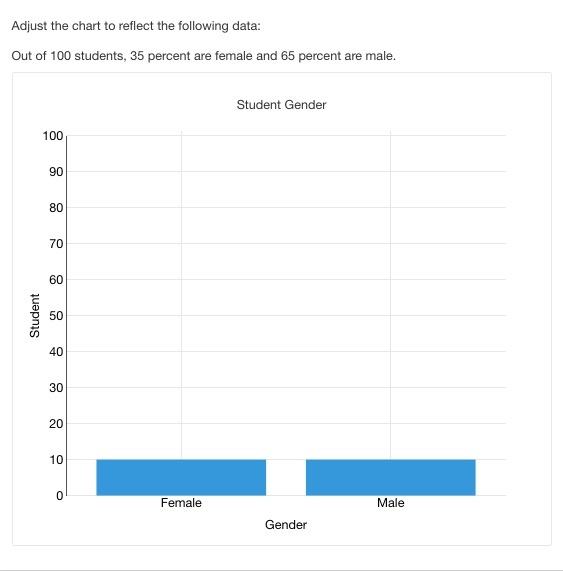 A drag and drop type question that asks the student to move a selection of predetermined answer choices from one column to another column in a new order. A drag and drop type item that asks the student to re-sort a list of predetermined answer choices in response to a stimulus. 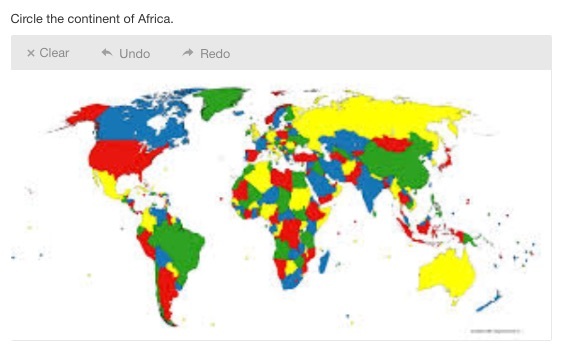 A drag and drop item type that shows the student an image, containing blank response locations on the image. The student must move a predetermined set of answer choices into the preset blank locations. An essay type question that allows the student to enter and format text, using a keyboard, and calculator interface with formulas, to respond to a stimulus. A chart type question that asks the student to adjust plot areas, using interactive charts, to respond to a stimulus. A drag and drop type item that asks students to plot possible responses on a number line in response to a stimulus. 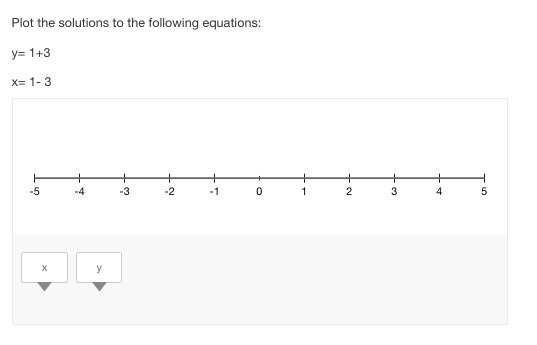 A number line question, that asks students to plot points, segments, rays, etc. on an interactive number line in response to a stimulus. 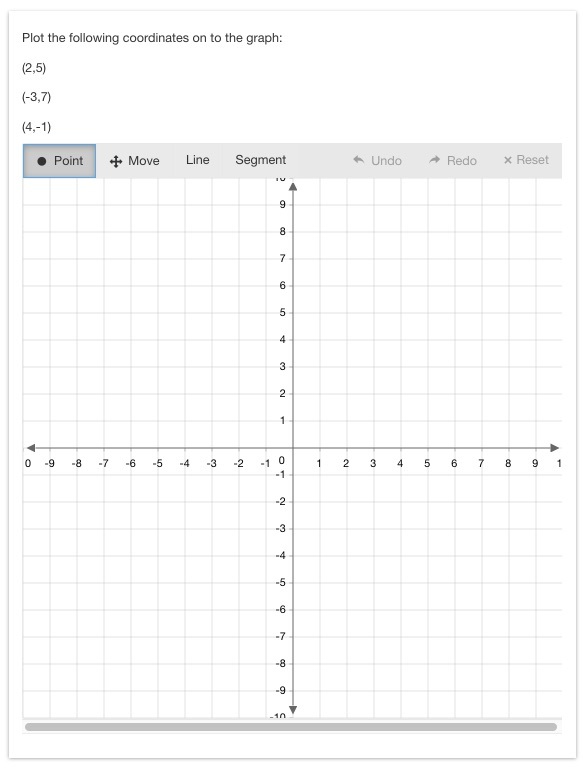 A graphing type item that asks a student to add points, lines, parabolas, etc. on an interactive graph in response to a stimulus. 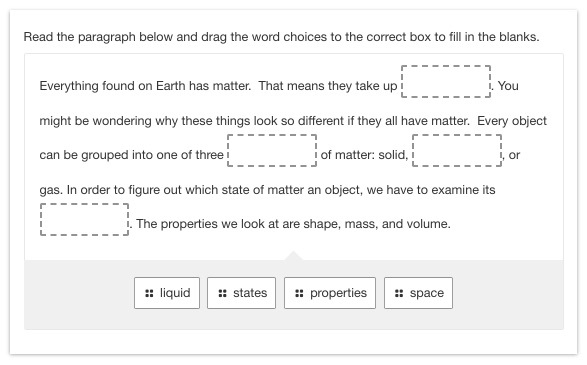 A drag and drop type item that asks students to classify possible responses into specific cells in response to a stimulus. 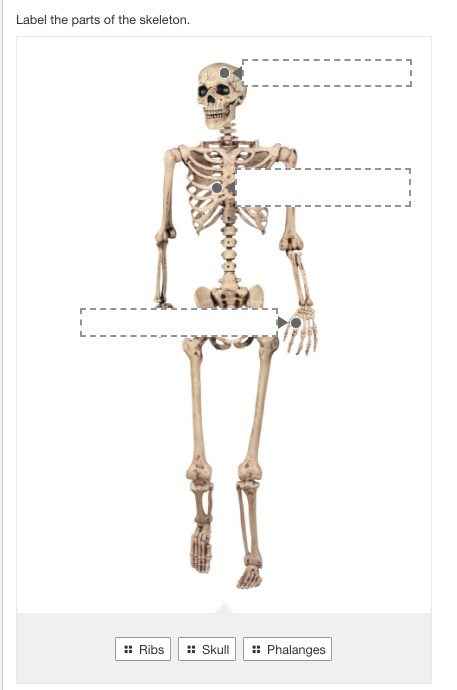 An image based item that allows students to input math formula type responses, into a calculator-like interface, in specific response locations positioned on an image. A fill in the blank type question that allows students to input math formula type responses, using a calculator-like interface, in response to a stimulus. 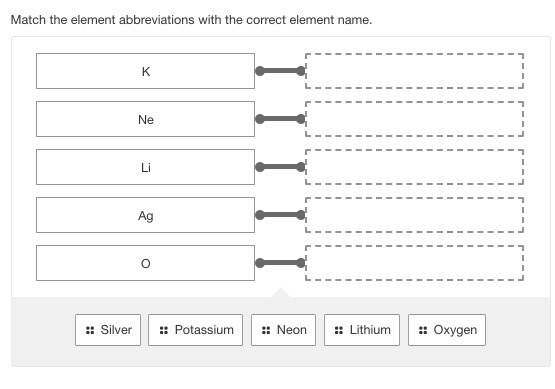 A fill in the blank type question in which each blank located on the image is pre-populated with a drop-down menu option. 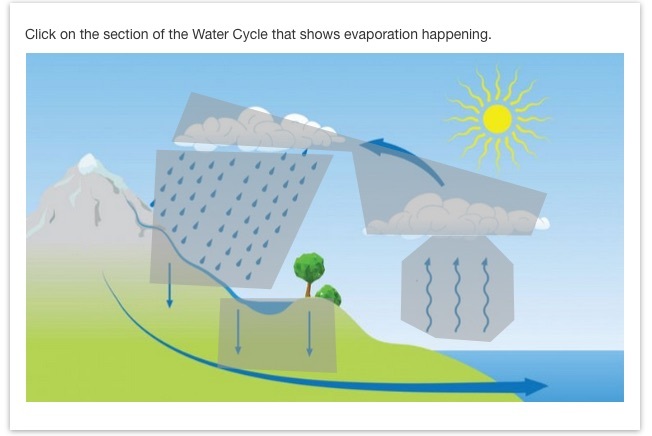 An image based question in which students use a mouse or touch-screen to draw on a picture in response to a stimulus. An image based question in which students click on a pre-determined section of an image in response to a stimulus. 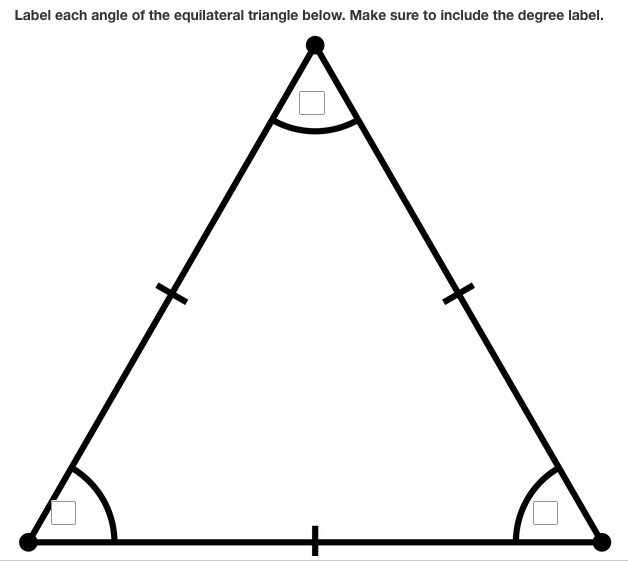 A question that allows a student to fill in (shade) all or portions of a shape in response to a stimulus. A word based question that allows a student to highlight words, sentences, or paragraphs in response to a stimulus. A fill in the blank (typically word-based) question that allows a student to drag and drop response options to blank response locations. 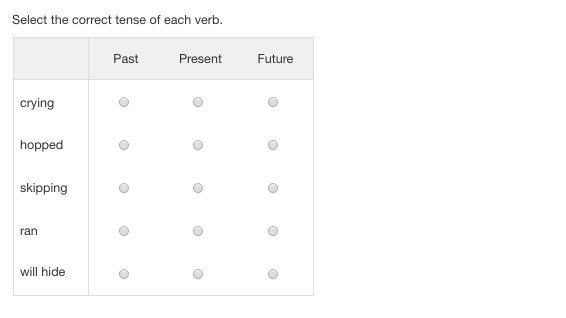 A fill in the blank (typically word-based) question in which each blank is pre-populated with a drop-down menu option. A fill in the blank (typically word-based) question in which the student types a response into each blank.